Remember that feeling of taking in a deep breath of pure clean air; to feel invigorated and alive. Such is the charm of running in the alpine meadows, pine forests and feeling the serenity of the Bir Valley! The pre-monsoon season in the hills of Himachal is perfect for long-distance runs. While the tricky terrain keeps you on your toes – often literally – the cool wind blowing in your face and hair gives you that runner’s momentum, and the drive to carry on.Feel the true essence of a quaint Himalayan valley steeped in Buddhist culture, as you run past small settlements, fields, meadows, streams, rivers, and monasteries. The charm of running in the alpine meadows, pine forests and feeling the serenity of the Bir Valley is unreal. It’s no ordinary half marathon! The climbs on the rough mountain terrain will make you gasp for breath very often. The Race Route is a mix of tarmac and jeep track on rolling terrain. 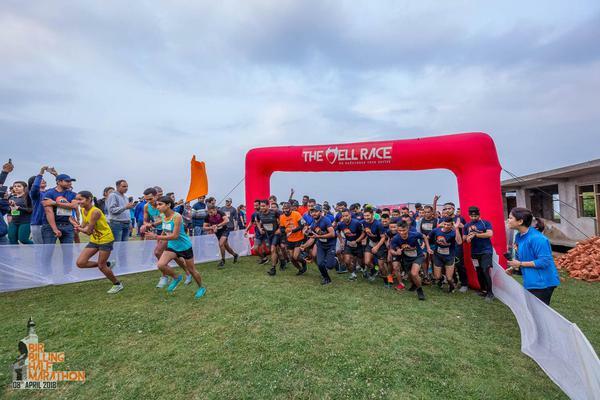 Feel the true essence of a quaint Himalayan valley steeped in Buddhist culture, as you run past small settlements, fields, meadows, streams, rivers, and monasteries. The 5km and 10km category is also an option for runners who want to take it easy and still sample the breathtaking scenery. How would be the weather in Bir? During the day, weather in Bir will be pleasant with temperature varying from 22°C to 15°C.The temperature seems to drop in the evening after sunset varying from 15°C to 6°C. The weather in Bir is very unpredictable and one can expect pre-monsoon showers too. What are the essentials one should Carry?